Leaving from the Alta Murgia plateau, you will visit Trani, with its port and enchanting cathedral,Castel del Monte that boasts a mysterious octagonal-shaped medieval castle, Venosa, an ancient Roman city, and Melfi. 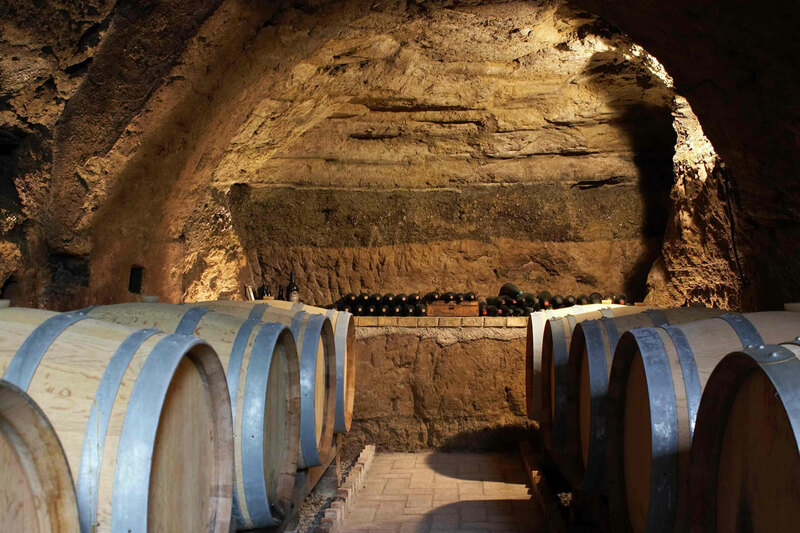 After passing through the Vulture vineyards, you will head south, cycling along roads surrounded by golden hills and the final leg of the tour is in Matera with its Sassi. 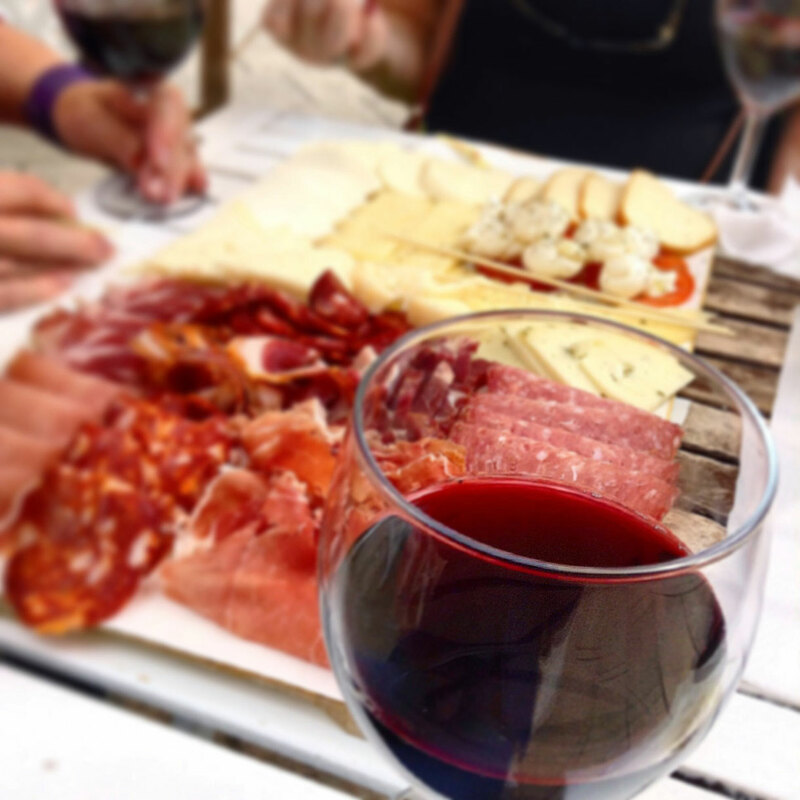 Everyday you will discover local art treasures and sample the cuisine and products of these lands. You will often have the impression of travelling back in time. 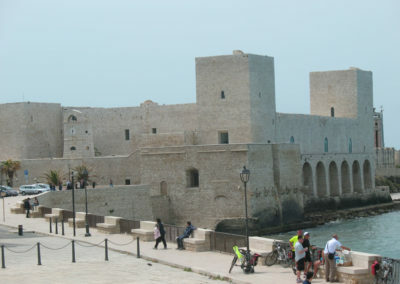 Arrival and get settled in at your hotel in Trani, an old town facing the Adriatic Sea. There is a lovely historical centre, Romanesque Cathedral, castle, gardens and old port where we suggest you to have lunch, choosing from the fish menu at one of the small restaurants. Dinner on your own and overnight stay. 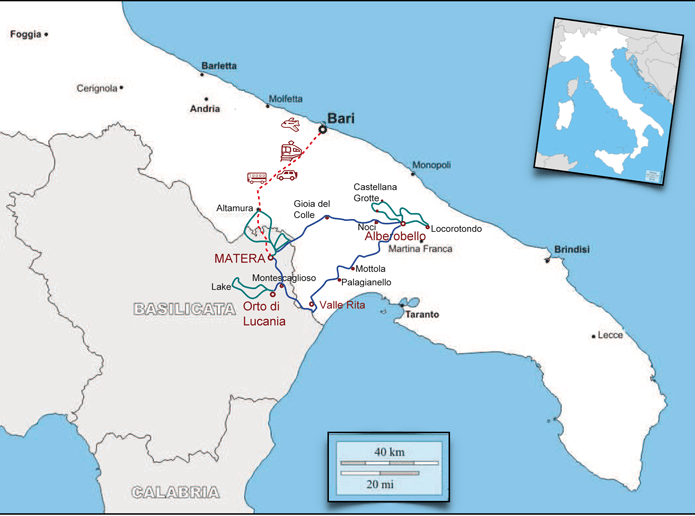 The route passes through the olive fields on the A- 170 with a stop-off in Castel del Monte, a UNESCO site and example of medieval architecture as built by the emperor Frederick II. After visiting the castle, which offers a wonderful view of the “Alta Murgia”, you get settled in at a nice hotel in the country. Dinner on your own and overnight stay. 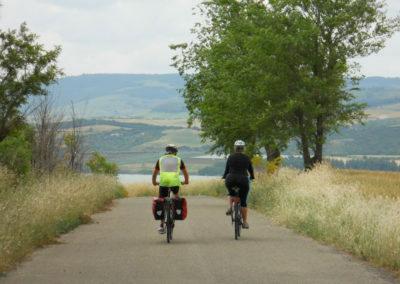 From Puglia you will cycle on to Basilicata in Venosa, the town of Horatio, the Latin poet of Carpe Diem. To be visited: the Trinity church with its tombs of Norman kings and valuable frescoes. Dinner on your own and overnight stay at a holiday farm or historic home.
. 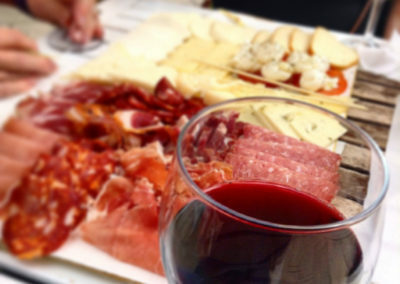 This is the land of Aglianico wine (known since the Roman Empire) and of top-rate olive oil. In Melfi you can visit the big Norman Castle with its seven towers and museum. 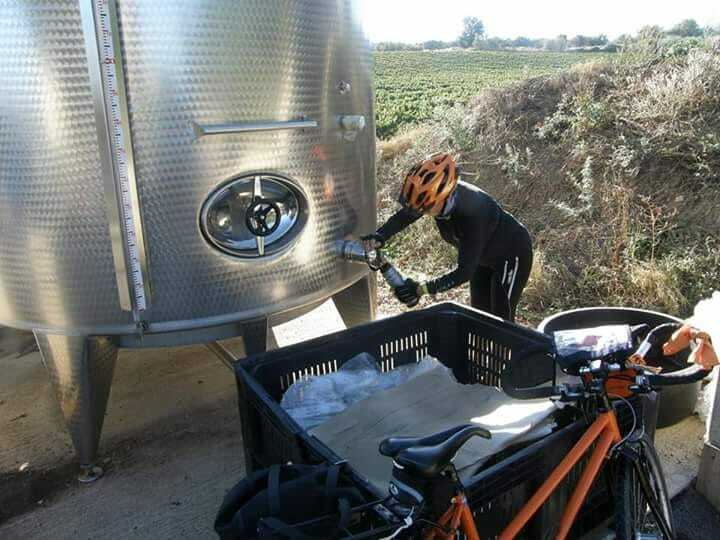 A ride through a chestnut wood will bring you to a local wine store where you can stop off for tasting. Back to Venosa across the hills and the wine cellars located around Barile and Ginestra. Dinner on your own and overnight stay. A gentle ride through the Bradano river valley, surrounded by vineyards and small villages with a typical southern atmosphere: Palazzo S. Gervasio, Banzi, Genzano di Lucania. At times it will feel like you are back in the last century. Once in Genzano you will meet our van to be transferred to Bufalara hill. The colours of the landscape, its silence and the warm welcome from the local people are still able to enchant any visitor. Stop off at an authentic holiday farm, dinner on your own and overnight stay. A ride along the wonderful, deserted road around San Giuliano Lake, a peaceful natural oasis, the destination of many migratory birds from Africa. We suggest you take some time to enjoy bird watching, spotting grey herons, cormorants, storks and fish hawks. 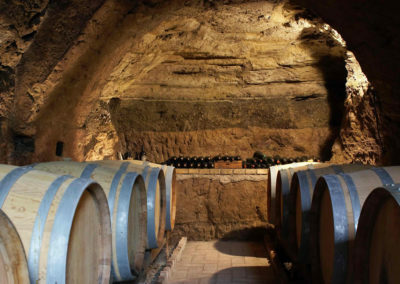 Continue to Matera and overnight stay in one of the hotels in the Sassi district. Dinner on your own. Cycle along the valley of the Chiese Rupestri (rock churches) Park, stopping off for a picnic (or swimming in the pool) at the Orto di Lucania, on the way. After an optional further 5km uphill, you will reach the hill-top town of Montescaglioso, dominated by its enchanting 11th-century Benedictine abbey before returning to Matera. Total length: 310 km with stages from 38 to 60 km to be done in 3 – 6 hours within the day. 7 nights in double rooms, luggage transfer, technical and emergency assistance, road book. Medical/Luggage insurance, city taxes, drinks, lunches and dinners, entrance fees, tips, personal extras, everything else which does not come under the heading “the fee includes”. 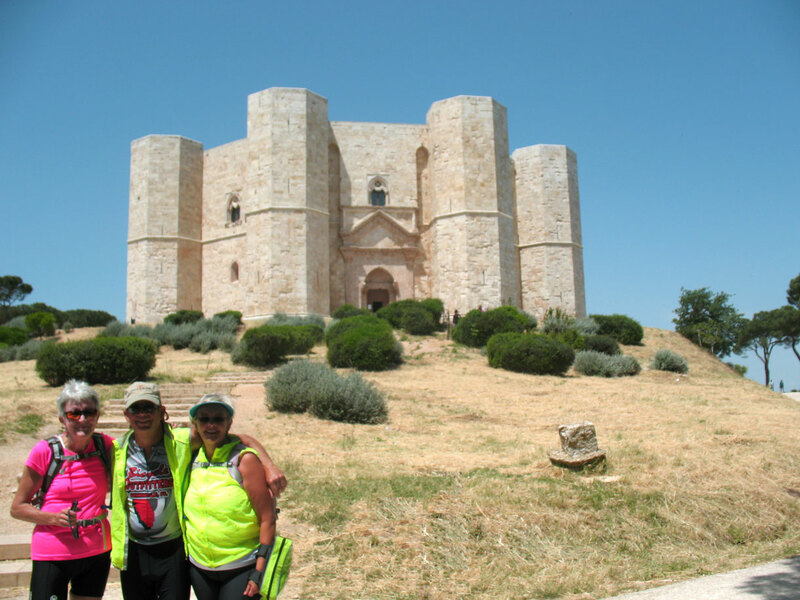 7 nights in double rooms, 3 dinners + 1 wine tasting, transfers from/to the Bari airport, cycling guide, luggage transfer, guided tour in the Sassi of Matera, technical and emergency assistance, road book. What’s excluded:Medical/Luggage insurance, minivan assistance, city taxes, lunches, drinks, entrance fees, tips, personal extras, everything else which does not come under the heading “the fee includes”. It is possibile to extend this tour with 2 extra nights to visit Alberobello and Valle d’Itria set among trulloes and olive fields.